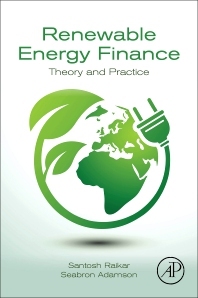 Renewable Energy Finance: Theory and Practice integrates the special characteristics of renewable energy with key elements of project finance. Through a mixture of fundamental analysis and real-life examples, readers learn how renewable energy project finance works in actual deals that mix finance, public policy, legal, engineering and environmental issues. The skills developed in analyzing non-recourse cash flow-based finance are applicable not only to green energy, but also apply more widely in project finance and infrastructure investing. The book's comparisons of developed and developing countries make it valuable to readers worldwide. Seabron Adamson is a Vice President at Charles River Associates, a global economics advisory firm, and was formerly a member of the energy and commodities group at Tudor Investment Corporation, a major alternative investment firm. He has advised a wide range of developer, banking, government and private equity clients on green energy projects in the United States, Canada and the European Union. He has taught classes on energy finance and economics at Tulane University and on renewable energy finance at the Carroll School of Management of Boston College. He holds graduate degrees from MIT, Georgia Tech and Boston University.